I’m not one for Black Friday shopping. The thought of trampling (and being trampled) to snag some deals in person doesn’t quite appeal to me. However online shopping does. And I thought you might agree. 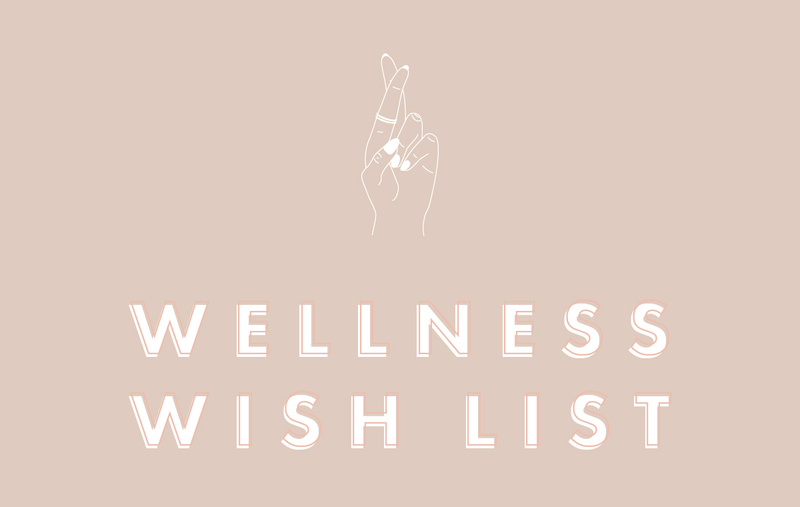 So without further ado, here is my personal wellness wish list of goodies that happen to be on sale this Cyber Monday. Blue Light Glasses:: As someone who’s on the computer all day, I’ve been very interested getting a pair of glasses to block harsh screen light. 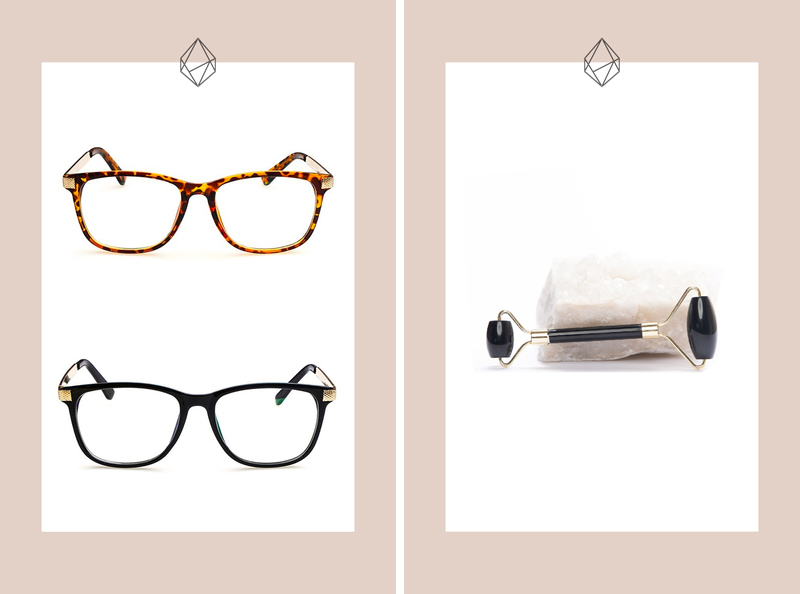 These can reduce headaches, eye strain and that exhausted feeling you get after a long day. Plus they look chic too which always makes things more fun. Facial Roller:: You would think I would have a facial roller by now, but I surprisingly don’t. Rollers are perfect for lymphatic drainage, reducing puffiness evening out skin tone and more. Sold? Me too. I love the look of this sleek black obsidian roller from Ginger June Candle Co.
Four Sigmatic:: I love a good elixir, and really love the mushroom blends of Four Sigmatic. 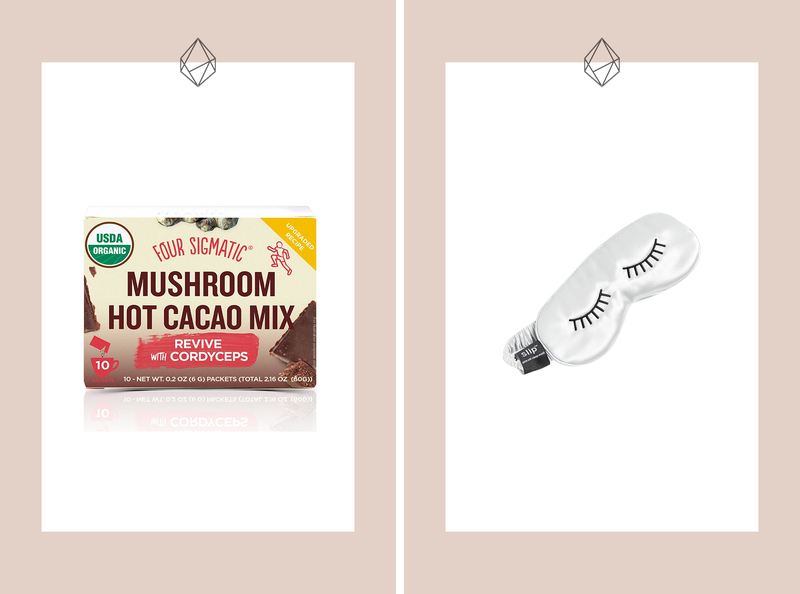 Stock up on my favorite, the Mushroom Hot Cacao with Cordyceps, for when you need an afternoon pick-me-up without the caffeine crash. Slip Silk Eye Mask:: Getting a good night’s sleep is necessary to feel like a human. My sleep mask has seen better days and I’m looking to upgrade to a silk one which is super gentle on your skin and hair. I have the Slip pillowcase and I think this lash eye mask would make the perfect mate. 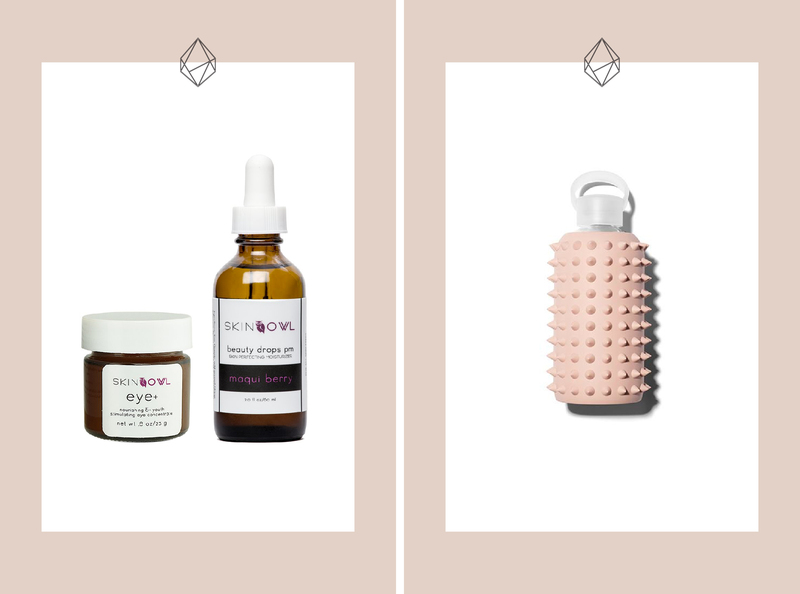 SkinOwl:: Love this brand of yummy skincare free of toxins and full of love. Get the Maqui Berry Beauty Drops for a smooth complexion and the Eye+ for under eye relief and moisture. Both are so, so good. Spiked bkr Water Bottle:: Why do I feel the need to collect bkr water bottles? Not sure. But somehow I convinced myself that my collection is lacking the 500mL Spiked in Naked. Yes, I think you’d be right at home with me. 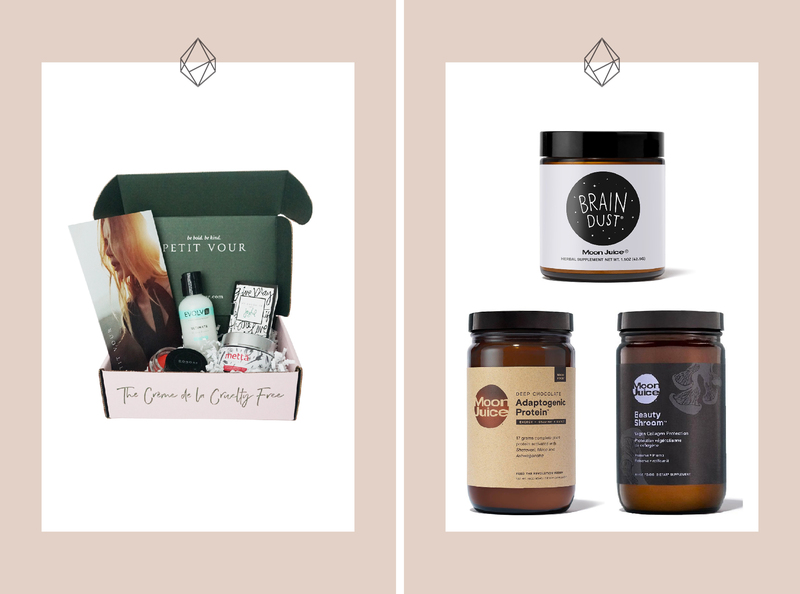 Petit Vour Beauty Box*:: You know I love my monthly Beauty Box full of clean and cruelty-free cosmetics and beauty products - it’s like Christmas each month. It’s the perfect gift for someone who’s interested in trying out natural beauty, but doesn’t know where to start. Moon Juice:: Adaptagens on adaptagens. I’m literally the girl that asks for this kind of stuff for Christmas. I’d love to get my hands on everything MJ, but especially the Deep Chocolate Adaptogenic Protein, Brain Dust or Beauty Shroom Vegan Collagen Protection.